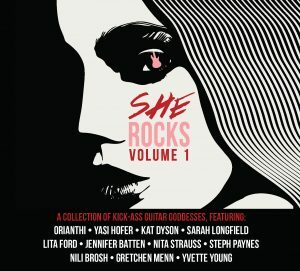 (Los Angeles – January 16, 2017) Favored Nations Entertainment will release the all-female compilation, She Rocks, Vol.1. digitally on January 20th with the physical CD available on February 10th. The compilation will be celebrated at the 2017 “She Rocks Awards,” taking place this Friday in Anaheim, CA during the annual NAMM Convention.